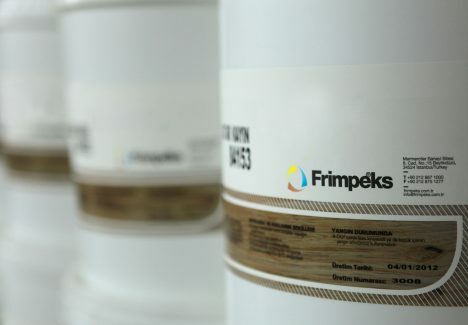 Frimpeks UK, which manufactures several products for the global print, packaging and wood industries, has added a UV ink mixing and distribution service to its offering. Frimpeks has experience in ink formulation and supply, with its coatings division producing UV-based varnishes and coatings since 1990, and UV inks since 2015. The company opened a 35,000ft² slitting and finishing facility in Market Harborough, which is home to the new North European ink mixing service that combines with the bespoke slitting operation for labelstock customers. The company’s UV Flexo range can be used on a range of subtrates, that include standard to specialty, along with use on thermal substrates plus cold and hot foil applications. Frimpeks claims that it has been working constantly on the adaptations and new product development projects. The company also provides Low Migration UV Varnish and supplies inks to be used a variety of systems such as litho, screen, letterpress, flexo and digital print. Frimpeks UK managing director Dave Casey said: “Significantly improve print quality whilst reducing make-ready times and operational costs. “Our knowledge of flexography and supporting ink systems spans decades and we have witnessed it develop in recent years to become the fastest-growing printing process. Flexo printing offers a range of advantages when printing on a variety of different materials such as film, foil, plastic, paper and board at high speed. Frimpeks plans to supply UV inks through the new facility to other countries in North and Western Europe and also in Algeria and Australia. Image: Frimpeks adds UV ink techology to UK portfolio. Photo: Courtesy of Frimpeks.